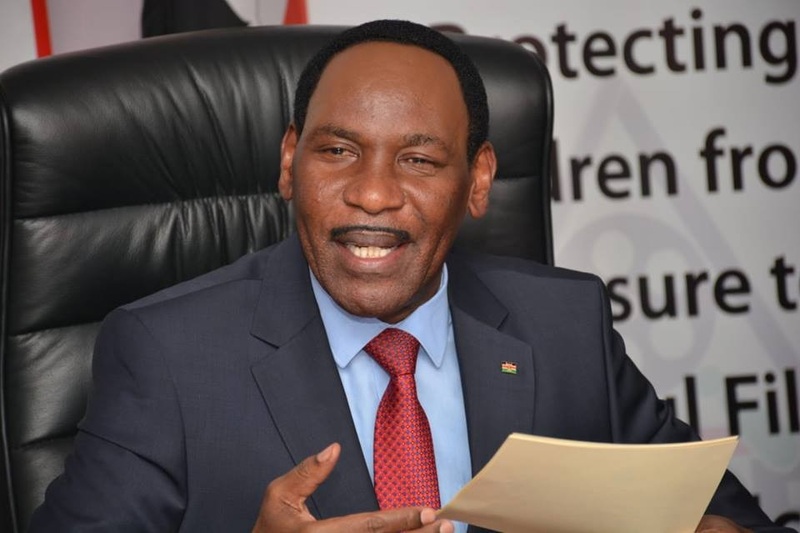 Home / Editor's Choice, Entertainment News, Forum and discussion, Gossip and Drama, Other Political News / EZEKIEL MUTUA’s official statement after banning the famous Taka-Taka song for degrading women. EZEKIEL MUTUA’s official statement after banning the famous Taka-Taka song for degrading women. The Kenya Film Classification Board has taken a decision to BAN the song Takataka by Alvin aka Alvindo. The song produced by FastCash Music Group is restricted due to its obscene and degrading lyrics that advocate for violence against women by equating them to trash. The Board notes with great concern that the song was not submitted for examination and classification. As such, it contravenes Section 12 (2) of the Films and Stage Plays Act. Broadcasting, exhibition, distribution (including online) or possession of this song is, therefore, a criminal offense. Moving forward, the song should not be performed live or broadcast anywhere within the Republic of Kenya. No DJ should play the song either on broadcast station or in entertainment joints. are primitive and abuse our sensibilities as a people and cannot be condoned. The song is a primitive piece of art that should not be celebrated in any way by the society. This song and such other obscene content should be rejected by members of a self-respecting society. The song Takataka is characterized by crude language that objectifies women and glorifies hurting them as a normal reaction to rejection. In line with the Board’s Classification Guidelines which form the basis of approving or denying approval of film content, the named song has obvious elements of incitement to violence against women by using repetitious emotional phrases and misrepresented facts. The aggressive and sadistic attitude exhibited by the singer seeks to not only incite men who face rejection by suitors, but also justifies hatred and hard feelings that come with possible rejection. In this regard, therefore, Takataka is unsuitable for consumption by any segment of the society, including adults, and is therefore banned for failing the basic tenets of good decency, tone and taste of good and appropriate content. As you all know, KFCB is mandated to protect vulnerable segments of the society from offensive or harmful media content. Content that objectifies women as sexual objects and refers to them using derogatory terms such as trash must be condemned and the deviants behind such evils subjected to the full force of the law. The power that media holds must be used constructively, not left in the hands of incorrigible artists who are depraved of moral values. As a Board, we note with great concern that the country has witnessed heart-breaking reports of senseless killings of young women by their lovers. It is regrettable that such incidences are fanned to flame by media content such as the song Takataka. 1. The Board hereby summons the said musician to appear before us in 14 days failure to which we shall institute legal proceedings. 2. KFCB declares an immediate ban on the song Takataka from all free-to-air radio and TV stations in Kenya. 3. The Board declares an immediate ban of the song from being played in any club or entertainment joint in Kenya. Any DJ who plays such putrid music, as well as owners of the premises, shall be prosecuted. 4. The Board has instituted the takedown procedures of this song from all online platforms. 5. KFCB will work with County Commissioners across the country to use security apparatus at their disposal to implement this ban in line with the Executive Order No. 1 of 2019. 6. The Board will proceed to institute criminal proceedings against the artist in 14 days if he fails to respond to our summons for a meeting where he can be accompanied by his lawyer. 7. The musician risks a life ban from being a member of any Collective Management Organization in Kenya should he defy these orders. Finally, the Board would like to urge our artistes and the media to create and exhibit content that builds society. Art is the mirror of society and must also set the right agenda by ensuring that content promotes moral responsibility at all times. Content creators, broadcasters, exhibitors and distributors must respect our culture and desist from promoting content that undermines the cultural sensibilities of the Kenyan people. We must take art seriously as a tool for shaping the values and character of our children. Obscenity, gender violence and degradation must not be portrayed as a way of life. Artistes and broadcasters must promote clean content that builds the moral fabric of our nation. We must discard the misguided notion that content has to be dirty to sell. As a matter of fact, obscene content only appeals to perverted minds and criminals. In order to reverse the current wave of moral decay, we must all play our part to promote good morals.